275N SOLAS lifejacket with advanced technology according to ISO 12402-2 (CE-Sign). 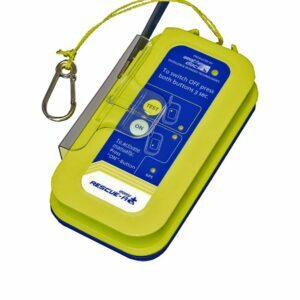 The special model for working at height locations: The most durable lifejacket offers in combination with fall protection and distress transmitter matched, a tested and certified PSA system. 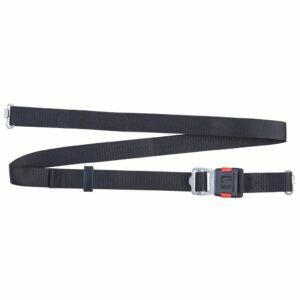 The belt guide at the covers bottom, the reinforced, split back belt, the highly stable click buckle with integrated adjustment – these are the features of this work vest. 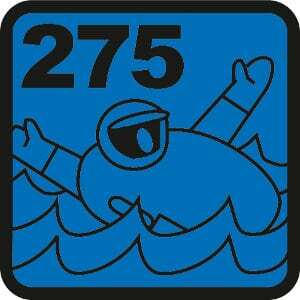 They are crucial to ensure that the lifejacket can be safely adapted to a fall protection system. Both elements of the personal protective equipment complement one another and function reliably as a combined system. 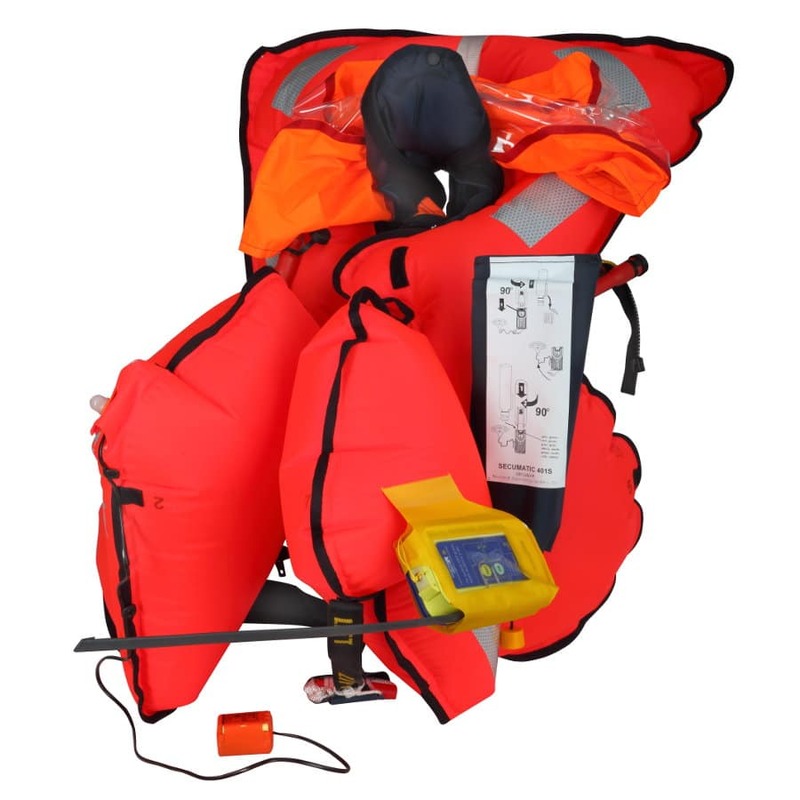 Especially in locations such as offshore wind farms or at rescue from heights the compact form of the lifejacket is important to ensure the necessary freedom of movement. All fall arrest attachment points are fast and safe reachable. An integrated PLB is visible through an inspection window from the outside and is placed by the 3D buoancy chamber in an emergency at the highest possible point in order to allow optimal radiation performance. The coated outer fabric of the protection cover is highly tear and abrasion resistant, making it suitable for hard labor. IMO Res. 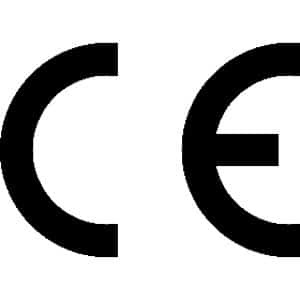 MSC 81(70) amended by MSC 200(80) and 207(81) (SOLAS). 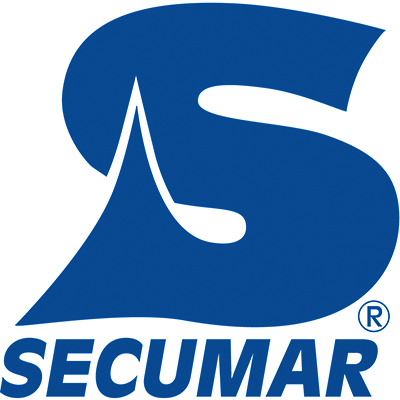 Through the SECUMAR-window the function check is now easier than ever. Through a window in the cover it is always seen from outside at a glance whether the inflator and the EPIRB are in ready to use condition. The donning and doffing is particularly easy by the patented click front-fitting. Around the vest as a jacket and close the front-fitting as with the seat belt. Even with gloves this fitting is easy to use. 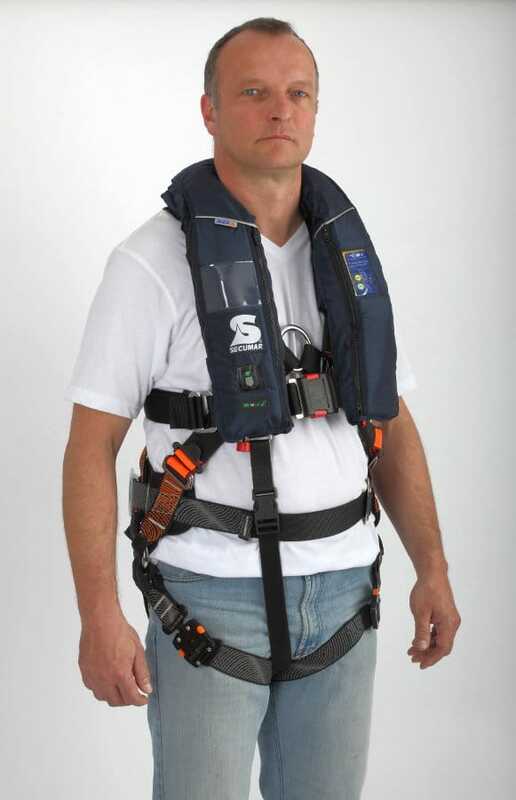 By additional belt guides the lifejacket can be connected to a fall arrest and thereby don and doff together. 1st Chamber: A red-green indicator for all four necessary conditions: SECUMAR Pill Box inserted, CO2 cartridge full, CO2 cartridge installed properly and locked trigger. 2nd Chamber: A red-green indicator for all necessary conditions: CO2 cartridge full, CO2 cartridge installed properly and locked trigger. A soft neckfleece ensures a comfortable fit in the neck. 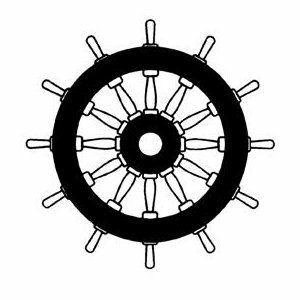 It is removable, washable and replaceable at any time. 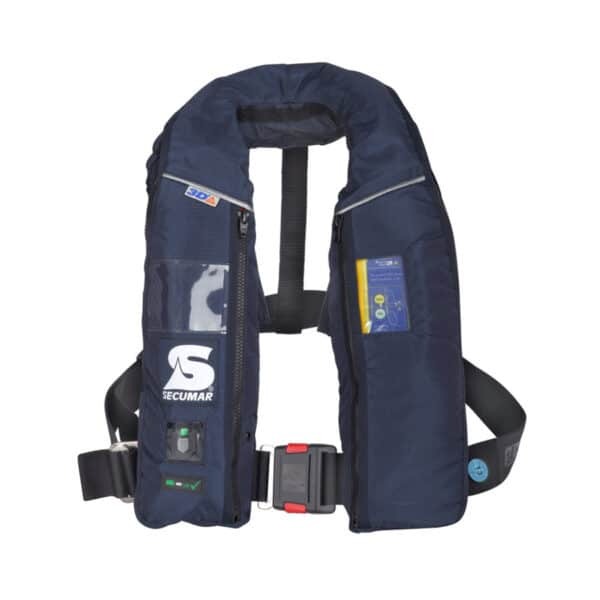 The service tag on the waist belt shows you at a glance when your lifejacket should be serviced again in SECUMAR Service.